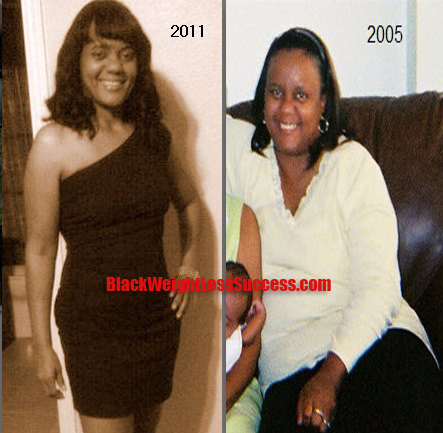 “I commend women that have lost weight with diet and exercise only. But let’s make it clear, gastric bypass is a NOT a quick or easy fix. Gastric bypass is a kick start for many people, but if you don’t exercise or eat clean, you will not lose weight and some people have actually gained weight after gastric bypass surgery. I think we should congratulate women on losing weight and getting healthy instead of questioning or criticizing them for how they lost the weight. It is a struggle no matter how you lose the weight. I want to say to you Job well done. Thank you for sharing your story. I am also on my own weight loss journey. You are so right. It does not matter how you lose your weight it’s still hard. I am encouraged each time I read someone has lost weight from this sight. It lets me know that It can be done but with hard work. I have lost 31 pounds so far and I am still going. Thank you for sharing your story. Each time you share you give someone the courage to believe they can win again. God bless you and I pray long life to come! keep up the good work! please stay in touch with me if you can! Keep up the hard work it Will Pay Off!! I too had gastric bypass and it has been a long Great Road!! Congrats and keep up the work!! No matter How you did it, You Did It!!! I am so proud of u. Regardless on how u lost it u did. Keep on doing it my proud black sistah .